Time to dust the keyboard off because this race deserves a recap. 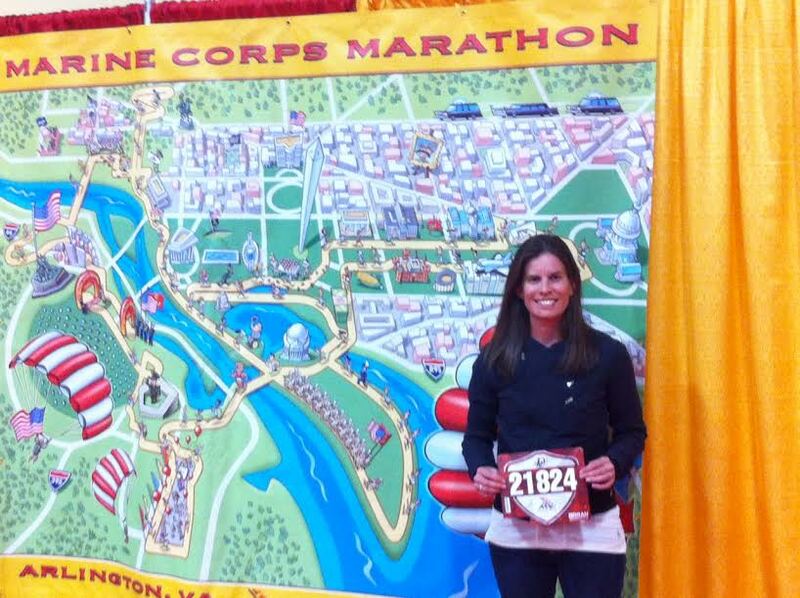 Last Sunday I ran with the Marines for my 11th marathon and 4th MCM. 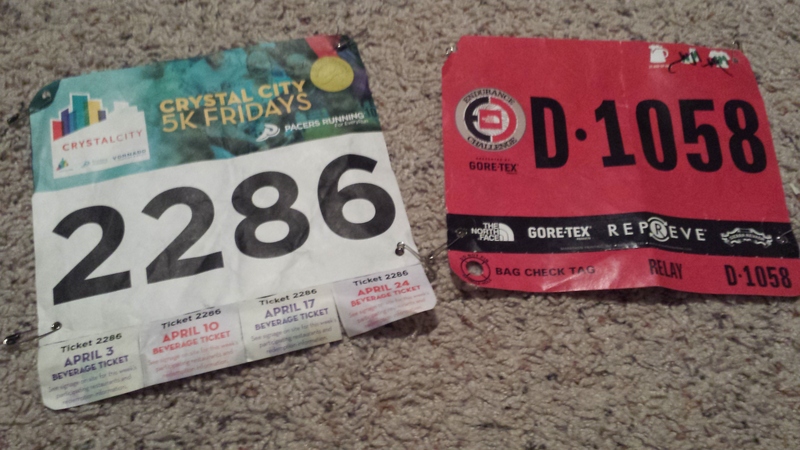 Some of you may remember my miserable race experience here two years ago where I fell apart after an injury-riddled training season and finished so incredibly far away from my goal time that I had worked so hard for. It was devastating at the time – even more so than I let on. 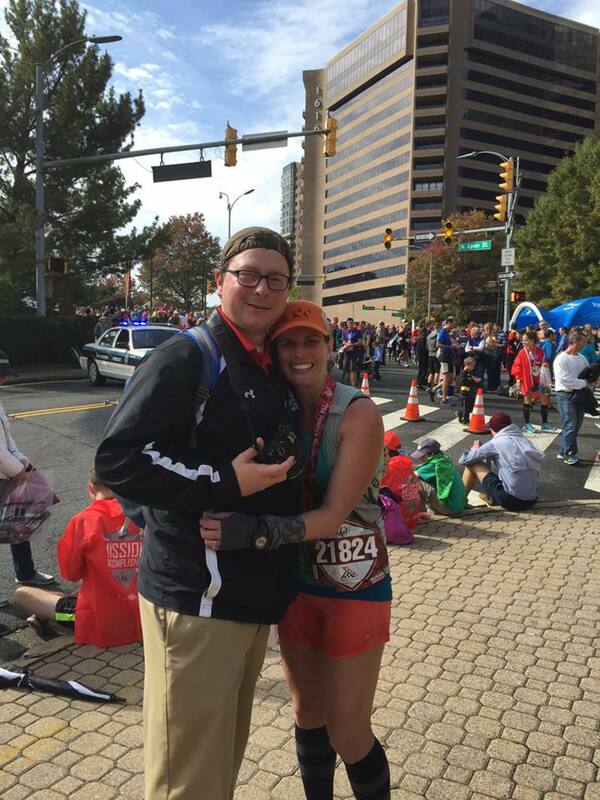 I was physically destroyed by the race, but the mental effects were what really got to me. 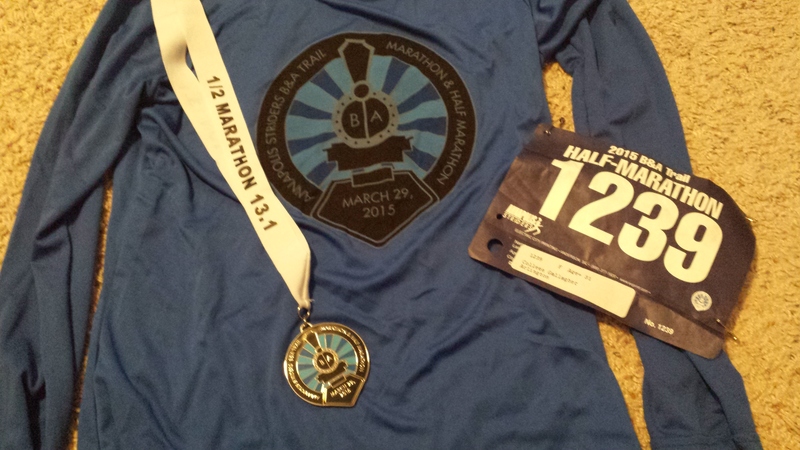 I don’t know that I’ve ever let any athletic event knock me so far off my mental game. 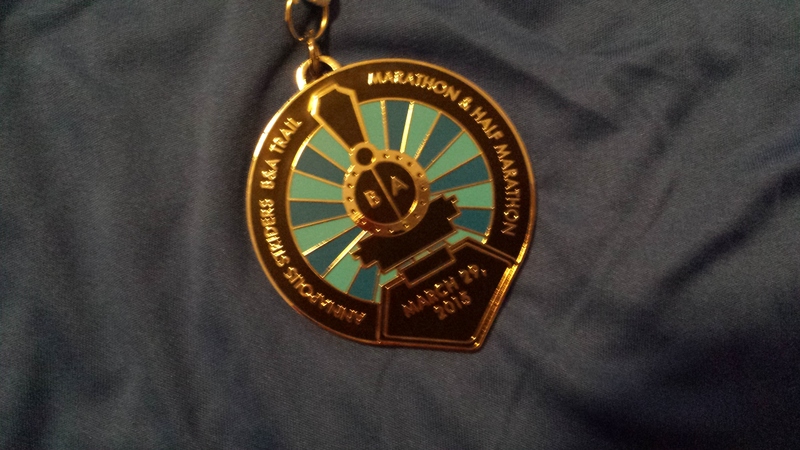 I had a few start and stop come-back attempts since then, but whenever things went slightly wrong in training and I realized a BQ (Boston marathon qualifier) wasn’t feasible, I’d back down from another marathon attempt not wanting to fail so miserably again. I was letting perfect be the enemy of good. 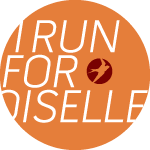 Pre-Race Day Lunch with the Oiselle Team! Running around the mountains of Washington state with such amazing and inspiring women was just what I needed. After a lackluster summer of running, which included the month of June where I ran as many miles the whole month that I normally run in a week, this camp experience put me back on track. Since getting home from camp in mid-August, I’ve put in six runs a week every week (with the exception of last week’s taper and this week’s recovery). I’ve felt great doing it, had fun doing it and most importantly stayed healthy doing it. The last week of August one of my Oiselle teammates (Thanks Kim!) posted that she unfortunately couldn’t run MCM this year, and would anyone on the team want to get her bib before the transfer period ended? 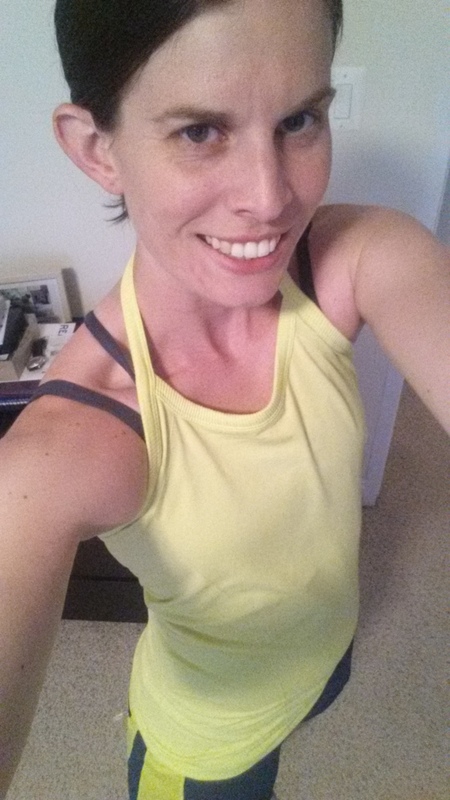 Despite having virtually no base, I decided to go for it fresh off my motivating camp experience and quickly shifted gears from my new Army 10 Miler training plan to a tried and true Hal Higdon marathon training plan. I figured with eight solid weeks to train I could get myself in good enough shape to run close to a sub-4 hour marathon and do it pain-free. My main goal would be to come away from this marathon experience loving the marathon again and ready to get back to my goal of chasing a BQ. This race was all of that and more. I missed my sub-4 by six minutes, but loved every second of my time along the race course and cannot wait to go after a BQ next March at the Rock ‘n Roll Marathon in DC. 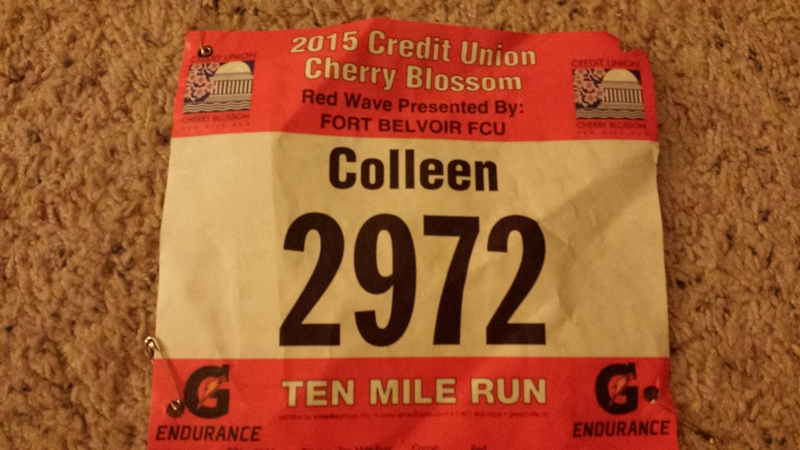 Now, finally on to the point of this post – the race recap! So things did not start off as all sunshine and rainbows. I got to what seemed like an unmoving security line at the Pentagon at 6:40 and despite not having to check a bag, I ended up missing the 7:55 start. The Marines normally perfect logistics definitely hit a snafu on this one. I haven’t experienced anything like this in my other MCM attempts – even the one just a few months after the Boston bombing. Apparently they tried out metal detectors this year and didn’t realize they wouldn’t work in the rain. Yikes! I finally got through though after a mini-meltdown and worked my way over to the start. Once I got moving the miles just ticked by. A light rain had started and would continue through the first five miles or so – it was a pretty humid day so it felt good. 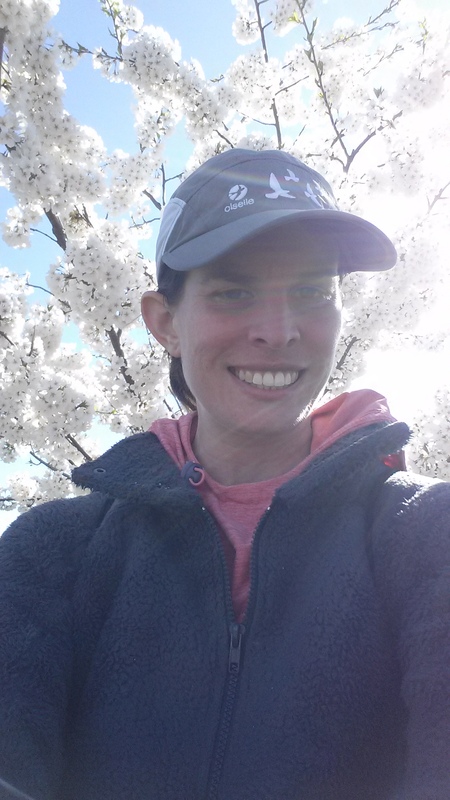 I cruised through the first mile bobbing and weaving through the crowd of runners past Arlington Cemetery, up into Rosslyn and down Lynn Street. 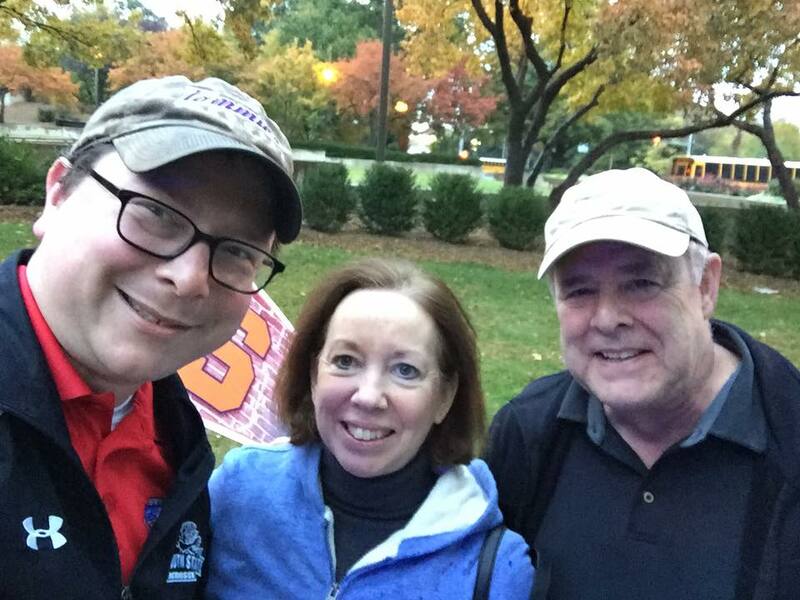 The beginning of this course is a bit challenging with a few uphill miles, so I was pumped to see my parents and Ian as I rounded the corner to head up the hill on Lee Highway. They were holding a Syracuse pennant so they were easy to spot and would catch me three more times throughout the morning! I kept working up the hill although it surprisingly didn’t feel like I was working hard at all. 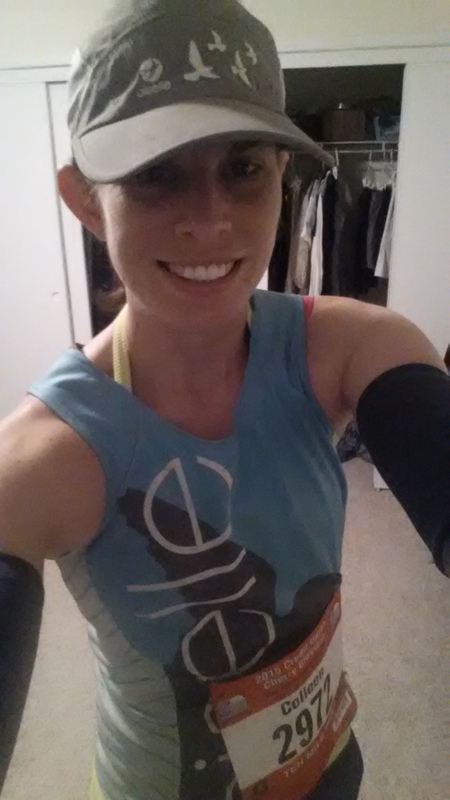 It helped that I passed and chatted with a couple fellow birds and also spotted a few teammates cheering around mile two! Around two and a half we got to run back downhill coming down Spout Run before heading over the Key Bridge into Georgetown. My family was halfway down the bridge cheering like crazy for me – if you knew my Mom, you’d understand what a big deal it was that she was willing to wait on a bridge for me (she’s terrified of them)! I coasted down M Street and worked my way past mile five and toward Rock Creek Parkway. The crowd support and scenery for this race is out of this world! I saw my teammate Jackie coming at me on the other side of the course and screamed in excitement cheering her on – she’d go on to finish in the top 25 women despite having an incredibly tough day – holy, amazing! Soon after I spotted teammates Prianka and Caitlin cheering me on from a water stop. I passed the 4:15 pacer here, which was a welcome sight and in stark contrast to two years ago when multiple pace groups glided by me like I wasn’t even moving on this same part of the course. In what felt like no time at all (I should mention that I never looked at my watch until I finished the race, so I didn’t have an exact idea of what time I was running), I was hitting the turn around on Rock Creek and starting to work my way back toward the Kennedy Center and over to Hains Point. 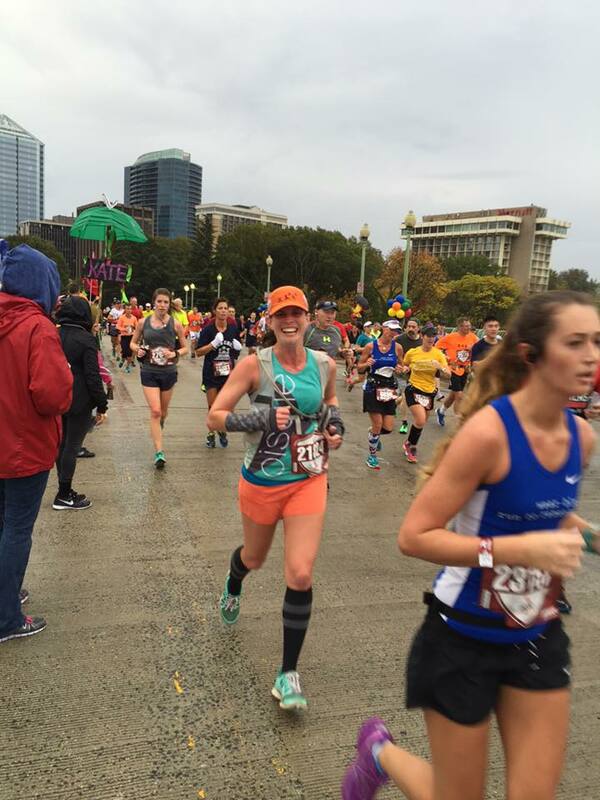 I spotted more birds cheering on the sidelines and along the race course and seriously could not stop smiling I was having so much fun. I was singing along to any of the bands or boom boxes blasting music along the course (yes, I just said boom boxes…cut me some slack, I love alliteration! ), high-fiving little kids and egging the crowd on to cheer louder! The course finally thinned out around mile 10 – if you can call it that when there are 23,000+ runners. Basically this was when I finally felt like I wasn’t tripping over people or dodging and weaving as much as earlier in the race. 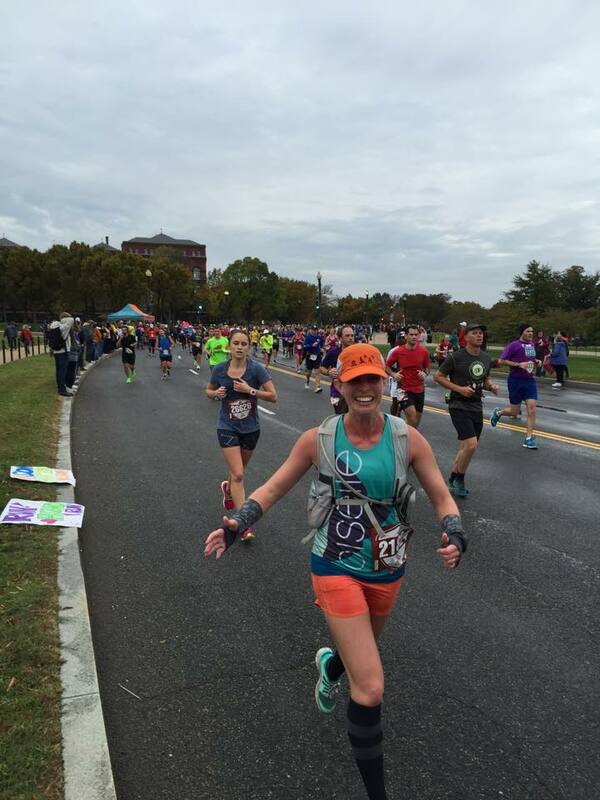 I moved toward Hains Point thankful that it wasn’t a windy day and soon entered the blue mile. Team Blue is an incredible group that honors members of the U.S. military who gave the ultimate sacrifice for our country. An almost eerie silence fell as we made our way through sign after sign with pictures and names of military killed in action, followed by a wall of Team Blue members lining each side of Hains Point holding American flags and cheering us on. This was incredibly moving. Just like that I was past the halfway point and working my way back toward the huge crowds along Independence Ave and the Mall. The signs from the crowd had me cracking up all morning long. “Run faster, I want to go home and watch some Netflix” may have been one of my favorites. I always love the “You run better than Congress/Metro” ones too. I also have to say that it’s impossible not to smile when you see a sign that says, “Smile if you pooped yourself”, but I can promise you that did not happen! At mile 17 I spotted the ‘cuse pennant and my family again. I could see them from so far away thanks to the pennant that I started jumping up and down and waving so they could see me. 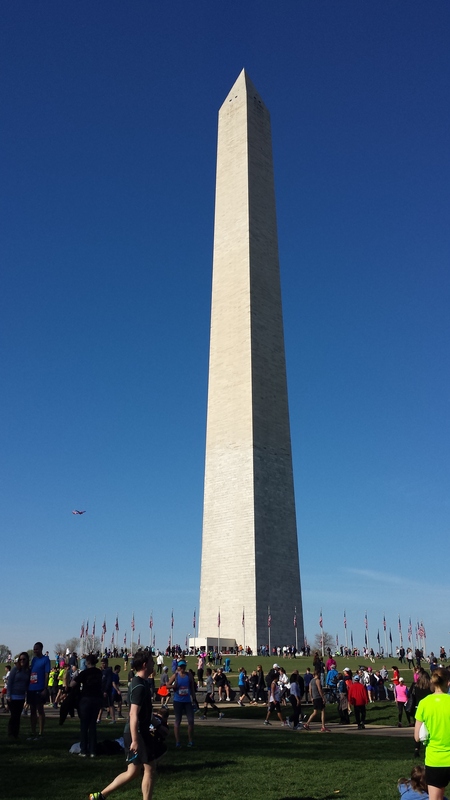 I collected my high-fives before rounding the corner to head up the Mall, past the Captiol Building and back down the Mall toward 14th Street Bridge. Mom, Dad & Ian made their way back toward the other side of the Mall to catch me again around mile 19. “Almost there,” I screamed excitedly thinking how awesome it was to feel this way going into the final 10k as opposed to the death march this felt like two years ago. 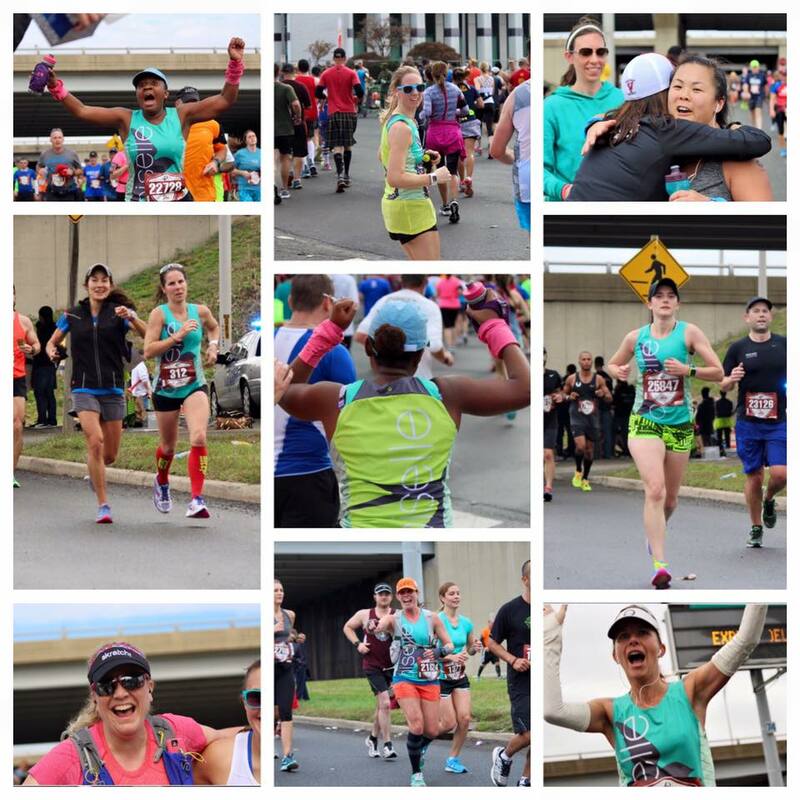 I could feel that I was slowing down a bit over the bridge, but didn’t let it get to me and knew that my teammates had a cowbell corner set up just over the bridge before entering Crystal City around mile 22. Boy did it feel good to see them. Fellow bird Taylor snapped these awesome shots below capturing my excitement (and other birds) at seeing them along the course. This gave me a nice boost through the next mile as did the crowds lining the streets in Crystal City. The last part of Crystal City got a bit quiet as we worked our way back to the Pentagon. Just a couple more miles, I told myself, I’ve got this! I couldn’t believe how quickly it felt like the race passed. I never hit that point where I just needed it to be over. 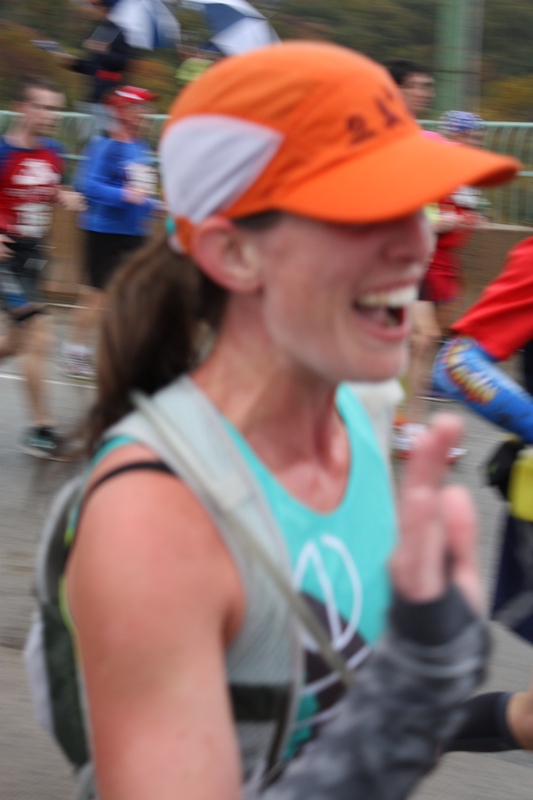 As the crowds started to pick up again for the final mile, a huge smile broke out yet again across my face. I took it all in as I passed Arlington Cemetery yet again and turned to climb the monstrous, cruel hill to the finish line at Iwo Jima. I pushed up the hill and rounded the bend to the finish line. 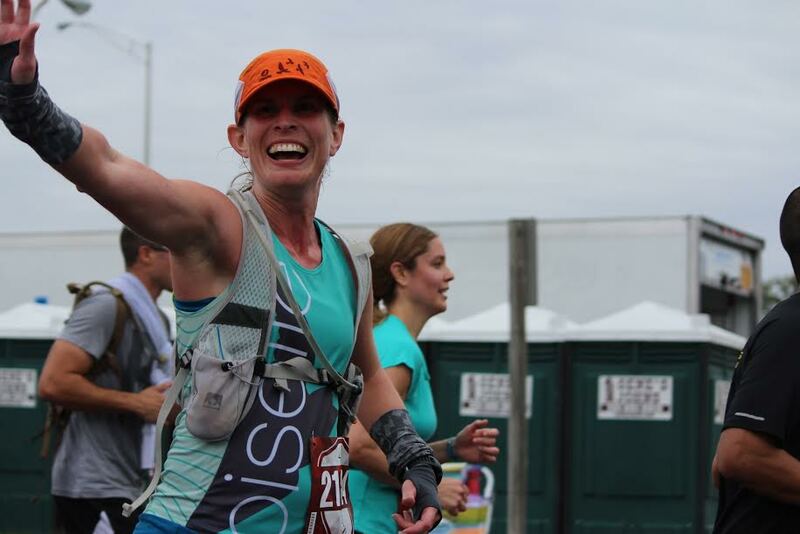 It felt like I was passing all sorts of people as I pumped my arms in the air and savored this finish experience, but I have no idea if I actually was, haha! 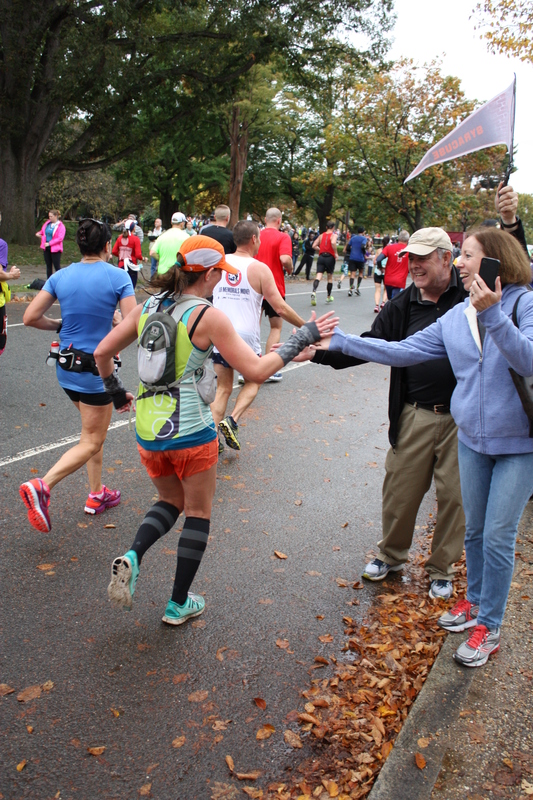 I saw Jackie on the sidelines just before crossing the finish for one last teammate spotting – never have I had such awesome support by so many people all throughout a race. It was just incredible! I proudly accepted my medal from the Marines and tried to walk as normally as possible to my meeting spot by River Place with my family. I could not wait to see them. I wish I could give them medals too for running all over town to cheer me on and keep my spirits up, but they had to settle for sweaty hugs instead. Sorry about that! Thanks to everyone who supported me along the way! Next up is RNR in DC this March, one day after my 32nd birthday. Who wants to join me?! 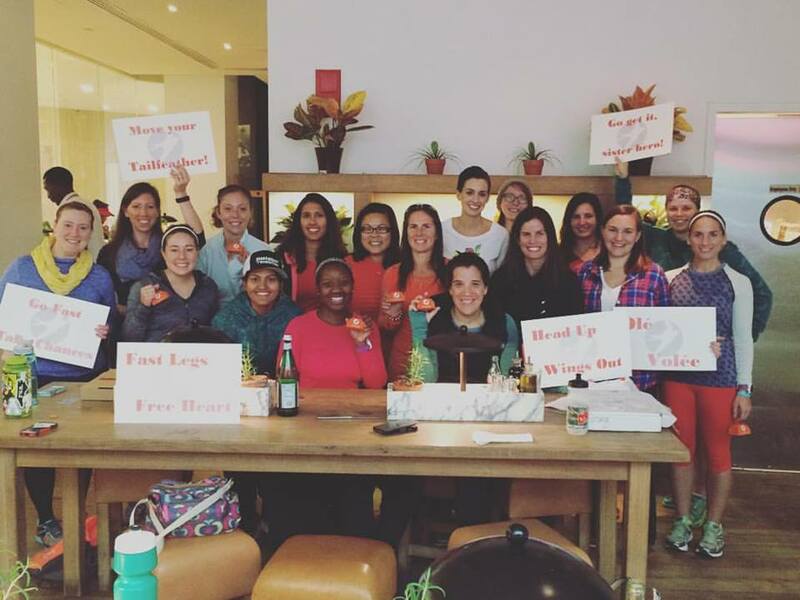 On Sunday, I tried out my first Pure Barre class in D.C. Thanks to several teammates who go their regularly, the Eastern Market studio hosted a group of DC birds for a free trial class. Photos are courtesy of Courtney over at Eat Pray Run DC. Our instructor Sydney was fantastic. You could tell she’s very experienced and did a really great job of keeping the class flowing while simultaneously stopping to help us newbies – something that is not easy to do. She also made the class fly by. I looked down at my watch at one point thinking maybe we were halfway through and we only had 10 minutes left to go. Another pro – I loved that it was set to a playlist. I don’t run with music much anymore unless I hit the treadmill, and forgot how fun it is to work out to tunes. I honestly thought the strength component would be tougher. I’m not saying it was easy (it was not) – just that I thought it would be torturous. 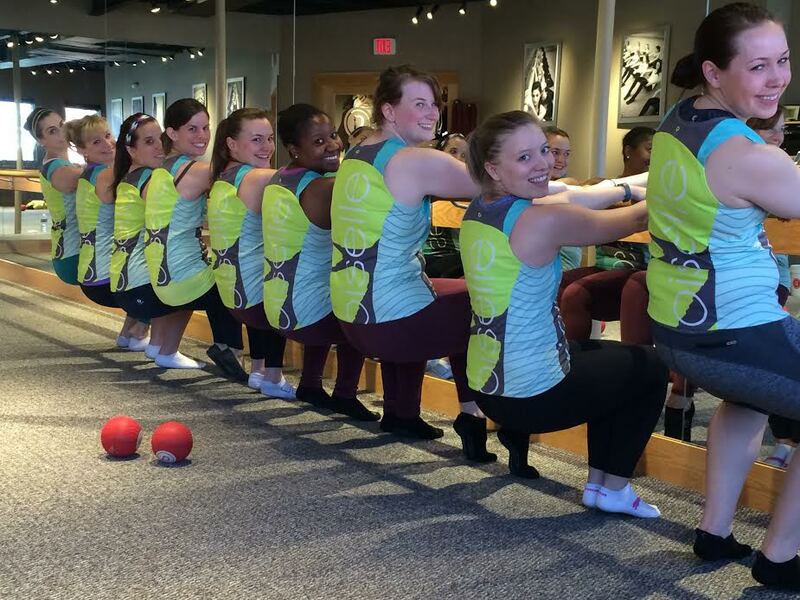 Reading things like this guy’s hilarious recap of attending Pure Barre with his fiancee made me expect the worst! Maybe I am just getting better at those strength workouts on my own …and those near daily P90X core sessions and push ups are having more of an impact than I realized! I wish I had grabbed at least the 3 pound weights. You have a choice between 2, 3 or 5 for arm workouts and being overly cautious I grabbed the 2-pounders and did not get as much as I could have out of the arm sections. The leg stuff was great and a few of those squats on your tiptoes while squeezing a ball between your thighs (there is probably an actual name for these) had my legs shaking pretty good. Still, I thought it was all very doable and having run a half marathon that morning had expected this to hurt a lot more. I was pretty proud I didn’t collapse mid-class! Adding pistol squats and single leg lunges back into my routine about a month ago definitely helped me out on these ones. We also did some hip opening and strengthening exercises I struggled a bit on that has to be helpful for runners doing this on a regular basis knowing how common hip tightness can be for us. The stretching – now this was a whole other story and every bit as tough as I expected and then some for this not-at-all flexible runner. I nearly burst out laughing at a couple of the things we were expected to do – then realized as others in the group started to do them with no problem that this was no joke! Nose-to-knees? Ha, I can’t even touch my toes, so that is just not happening. From one position we were told to reach back and grab our foot if we could. I’m pretty sure my foot was in another zip code. My favorite was when the instructor raised her arms over her head and pulled back as far as she could then asked us to do the same – the only way my arms could find that position would be to start them behind my back and pull them up!! 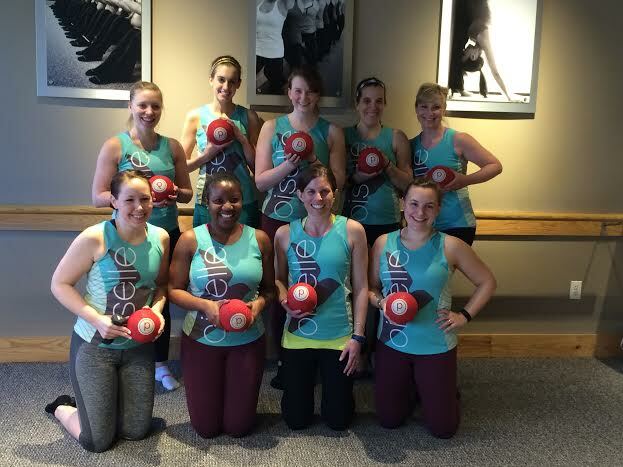 While Pure Barre may not be entirely my style of workout it was definitely a cool experience. 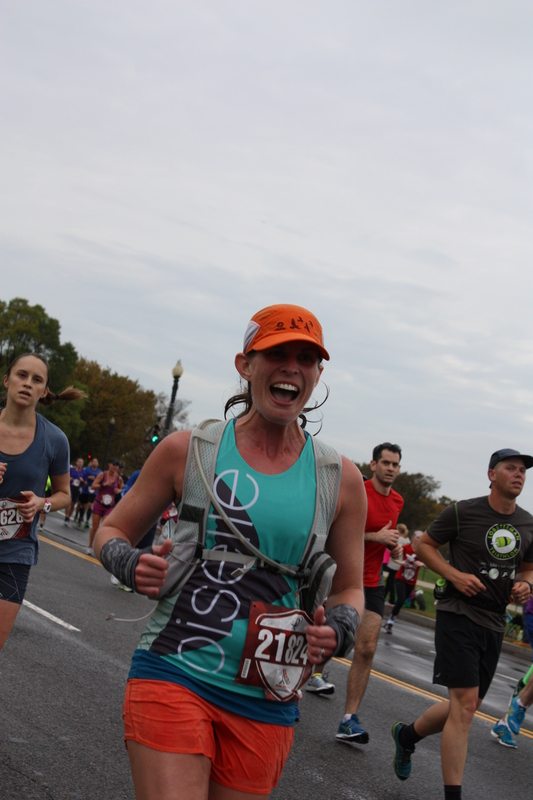 The stretching clearly made an immediate impact as I was way less sore on Monday than I was just two weeks ago after the RNR DC half. 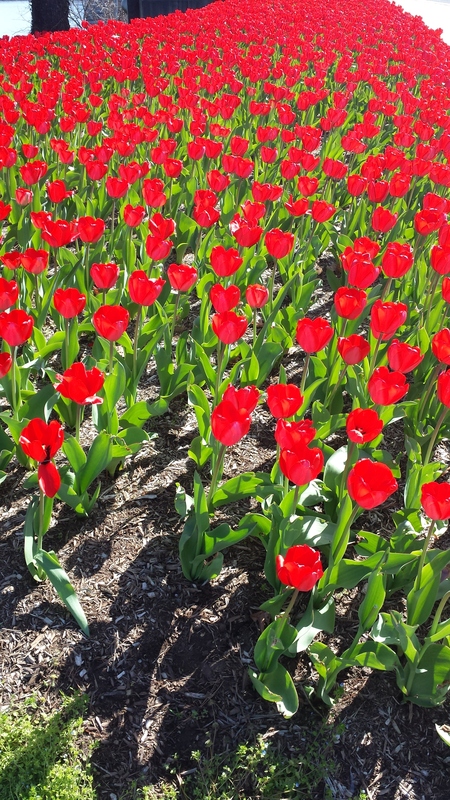 So much of it is also great for runners, so I can see why so many like it. I don’t think I’d make it a regular thing, but could certainly see myself dropping in for a class here and there. If you’ve never tried it, I’d certainly recommend giving it a go!